Why do I call this Simple Service Enterprise? Because it is. These processes can be divided into process steps, the smallest transaction possible that can be committed and rolled back without biting your tongue. These process steps can be translated into (and usually are) business functions in the IT back-end. So the smallest business transactions are process steps, and those are taken care of by IT business functions. Hence the three little arrows in between Information layer and Integration layer: those are just applications exposing their functions in a form that’s most convenient and cost efficient to them. XML? Maybe, if that fits the definition. JSON? Same applies. EDIFACT? Silly example, yet same applies. iDoc? Same applies. Then, let’s take a big step and meet our new friends right at the very top of the picture: people of all kinds in all possible locations and roles: employees, customers or consumers: paid people, paying people and all others. Do those people care in which form those services get exposed? No. They’ll be looking at them via screens, in which applications will run which will present them with fields, and the business functionality content will be in those fields. So then, who does care about the format in which these services are exposed? Well, it seems nobody does. So what are the requirements and limitations here then? 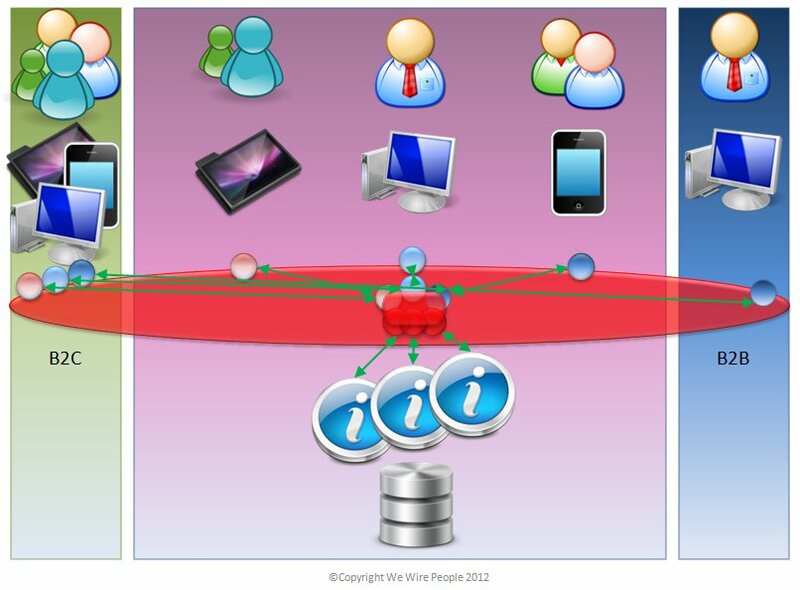 Bandwidth will influence size of message, fit will influence form of message, location will influence transport protocol. It is absolutely out of the question that a new device or programming language will affect your back-end in any way whatsoever. Next: why REST is a bad idea.